It’s exciting when people from home come here to visit – and more exciting when they come to share important information with my Senate colleagues. The Natural Resources and Parks Committee will devote most of this Thursday’s committee meeting to the subject of wildfire, and folks from our part of the state will be front and center in the discussions. The Olympia area picked up about six inches of snow between Sunday and Monday mornings. That’s a good-sized snowfall for anywhere close to Puget Sound, but I am more interested in the Cascade snowpack. A look at the latest “snow water equivalent” report from the federal government shows our part of the state, which is in the Central Columbia and Upper Columbia zones, is right around the 30-year norm (click here for yesterday’s update). Such a healthy snowpack can only help reduce the risk of wildfires this summer. We can’t control the weather, however, which is why this week’s wildfire discussion and continued efforts to update wildfire policy are so important. I’m really looking forward to this opportunity for local experts and officials to have their voices heard. The massive fires that hit our area so hard in 2014 and 2015 generated a community conversation. What can be done to identify and treat areas that are at particular risk of becoming the site of the next megafire? Representatives of the Wenatchee-based Wildfire Project have done valuable work concerning what they describe as the era of the megafire, “the crisis everybody in the West should be talking about.” I’m thankful that the Chair of the Natural Resources and Parks Committee agreed to invite them to come and talk about it during a work session beginning at 1:30 p.m. Thursday. Work sessions allow committees to learn more about a particular issue without limiting the conversation to the merits of a specific piece of legislation, and the wildfire situation is an ideal subject. After the work session, the committee will convene a public hearing on the wildfire legislation I recently introduced. Senate Bill 5546 would direct the state Department of Natural Resources, the agency in charge of public lands, to begin assessing the health of state-owned forests and come up with a 16-year treatment plan that could include prescribed fire and thinning. 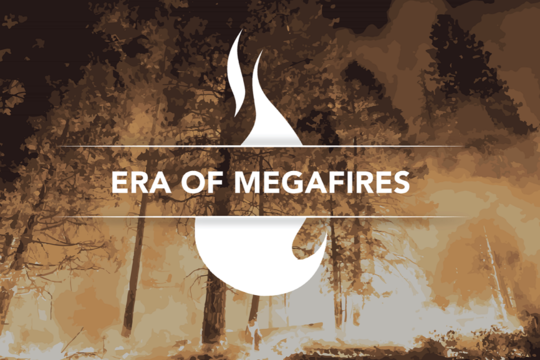 SB 5546 is inspired by things I’ve learned by attending the Era of MegaFires presentations, produced by the Wildfire Project, and my discussions with other stakeholders, including DNR, the Nature Conservancy, private landowners, and others. It has a very good chance of moving forward, seeing that four of the five members of our committee are sponsors. This link should allow you to view the work session and bill hearing on TVW when it begins.